The multilingual array of texts and translations, along with detailed notes and authoritative essays by specialists in the history and literature of this period make this volume a superb introduction to a key episode in the history of late medieval Britain. This is the definitive collection of texts in translation relating to the great Welshman's uprising. It covers all aspects of his revolt and sets it in its historical context. This comprehensive collection of the records pertaining to Owain Glyndwr will transform our understanding not only of his rebellion against Henry IV but also of Welsh-English relations in the fifteenth and sixteenth centuries. Livingston and Bollard have brought together Welsh, English, and French sources in five languages, ranging from royal acts to letters to poetry and more. Contextualized by a helpful set of essays, these documents give us Owain as many of us have never seen him before: the sophisticated and hospitable nobleman admired by poets, the canny strategist making use of prophetic traditions both English and Welsh to build political alliances, the figure molded by legend into something quite different from either of these—the sorcerer at once terrifying and laughable of the English, the longed-for redeemer hero of the Welsh. This casebook will appeal to multiple audiences, including scholars unfamiliar with Owain’s career and undergraduates. 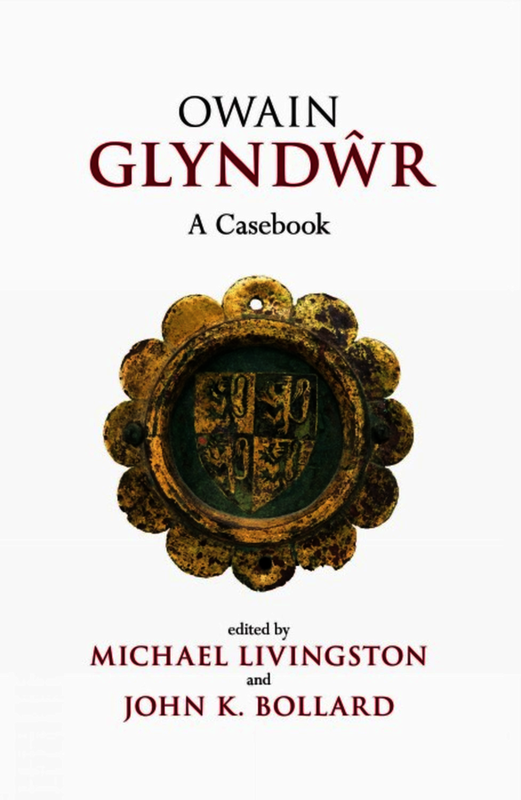 We are indebted to the editors and contributors of this volume for its comprehensiveness and accessibility, and this Casebook will undoubtedly remain the definitive collection of documents pertaining to Owain Glyndŵr for generations to come. Michael Livingston is an Associate Professor at The Citadel, The Military College of South Carolina. He is the editor of ‘The Battle of Brunanburh: A Casebook’ (2011), along with scholarly editions of ‘Siege of Jerusalem’ (2004),’ In Praise of Peace’ (2005), and ‘The Middle English Metrical Paraphrase of the Old Testament’ (2011). John K. Bollard is a Medieval Welsh scholar, editor, and lexicographer. He has published extensively on ‘The Mabinogi’ and other early Welsh works, including popular translations of ‘The Mabinogi’ (2006), ‘Companion Tales to The Mabinogi’ (2007), and ‘Tales of Arthur’ (2010).